The PA threatened to refuse customs duties altogether if Israel pressed ahead with its decision to make deductions. Senior official of Fatah – the Palestinian faction which dominates the PA – Hussein Al-Sheikh, blamed the US for Israel’s decision, revealing that international financial institutions and banks had begun imposing a financial siege on the PA at the US’ request. Concluding their statement, the prisoners placed responsibility for their life on the Israeli occupation and stressed that they would not tone down their protests until the devices are removed. Last week, Palestinian prisoners said Israel’s prison administration had installed jamming devices at a ward in the Ktz’iot Prison causing Palestinian prisoners to suffer from severe headaches. The devices produce powerful radiation and stop radio and television signals from penetrating in to the area. News reports have revealed that the devices were sent to Israel from a Chinese firm Decipro Technology Limited. With 40 such units received by Netline Communications Technologies in Tel Aviv on 29 November 2018. Israel’s siege on the Gaza Strip makes it difficult, if not impossible, for cancer patients to receive treatment. Over the last decade, Israel has controlled and restricted shipments of medicine, among other basic necessities, into Gaza. 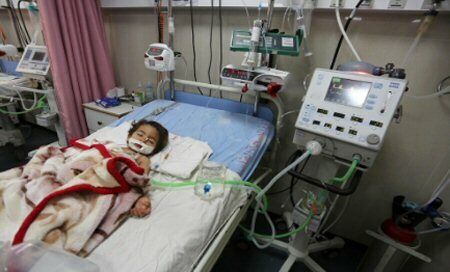 This often causes severe drug shortages in Gaza hospitals. “I come to the hospital to receive treatment and I am surprised that there is no treatment,” Sabreen al-Najjar, 40, told The Electronic Intifada. Al-Najjar is one of many cancer patients in Gaza turned away by hospitals due to severe drug shortages. “It is unbelievable. They sentence us to death. A slow death,” she added. With the unreliable availability of medications, many patients try to receive treatment outside Gaza. Israel denies many of those patients the permits necessary for them to leave the enclave and receive treatment in the occupied West Bank, including East Jerusalem, or within Israel. More than 1,800 patients were denied permission to cross Erez checkpoint for healthcare in 2018, according to the World Health Organization, compared to approximately 700 denied in 2017.